Wayne, IL- June 23, 2016- Taylor Flury and Carrasca Z of AliBoo Farm won the $1,000 Young Jumper 6 Year Old Championship, presented by Horse Flight, on Thursday with a double clean round and a swift time of 34.041, the best out of 15 entries. She also had three other rides in the class, earning a third place finish on Cosmea Z with a time of 35.502 in the jump off. This was Flury’s third win in the six year old championship class these past three weeks at Showplace Productions’ Spring Spectacular. 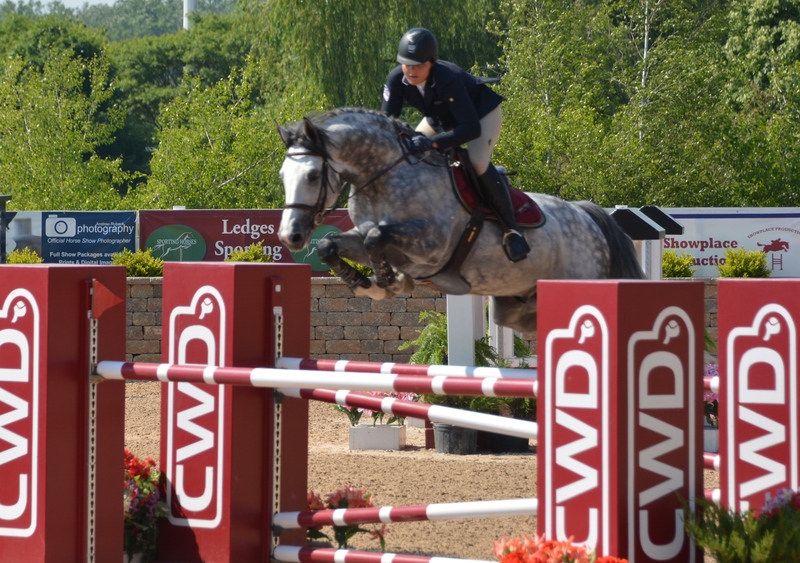 “I wanted to win all three weeks of the 6 year old jumpers and we did,” exclaimed Flury. “I try to be patient, and I honestly just want to be double clean, but I want to teach them to be tidy, not necessarily fast, but tidy so they can learn that as they get older, it just comes second nature to them,” Flury said of her strategy going into the ring with her young and sometimes fresh, horses. Riding 14 young horses a day can be a lot, but Flury takes it all in stride. Managing so many young horses can be overwhelming, but Flury has a great team in place to help her. “I have a really good barn manager and head groom, and my parents are a big help. My sister’s [Alison] horse was the one that was third today, but she’s at a wedding, so I said I would take her horse for her. It’s definitely a family operation,” said Flury. Taylor Flury on her third place mount, Cosmea Z. Photo KReif/Chicago Equestrian. 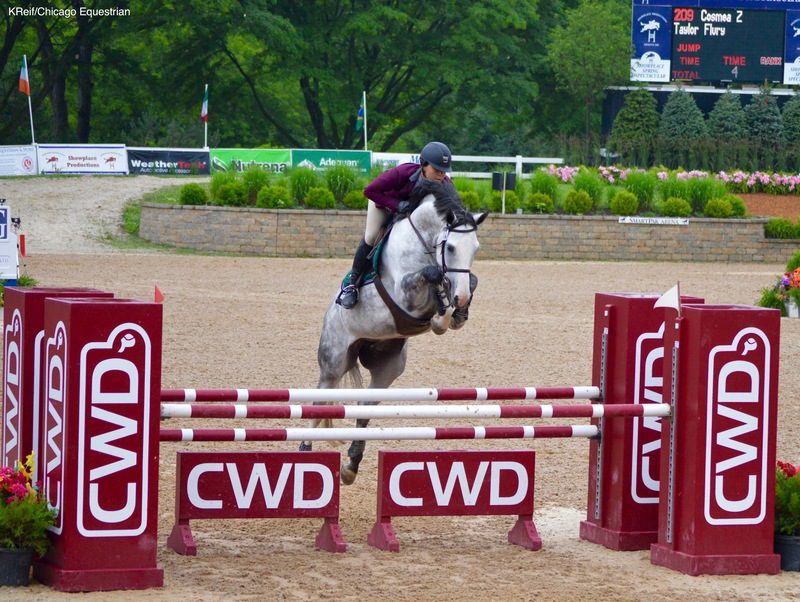 AliBoo Farm specializes in breeding and developing young horses into talented young jumpers. Their patience paid off as Carrasca Z earned the 6 year old Championship week III with Catania Saflo Z taking the Reserve Championship. Week II, Catania Saflo Z was Champion and Vuvuzela Z was Champion week I. 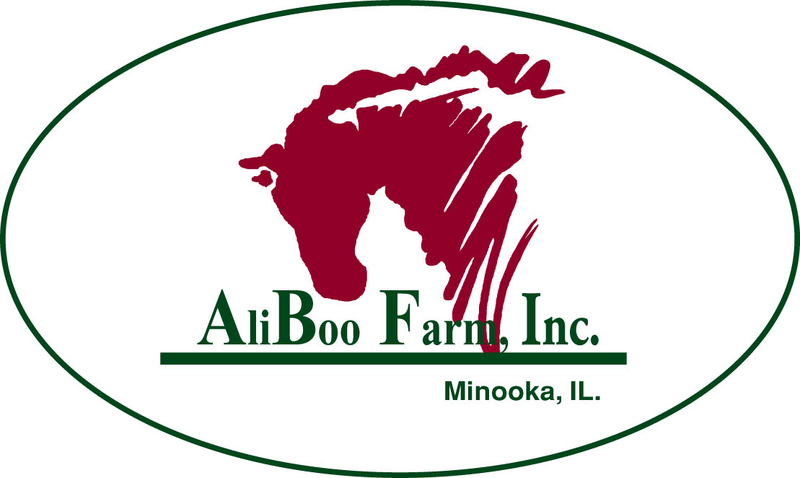 For more information on AliBoo Farm, visit their website at www.Aliboofarm.com.